A beautiful white wedding in the Savernake Forest with the reception taking place in a stunning marquee in front of Rockley Manor. Buckets full of frothy white blooms are conditioned in The Barn. Full blown white Paeonies and heavily scented Norma Jean Roses featured in the Bride’s Bouquet. Foliage garlands spiralled the marquee poles while Olive trees and long wooden boxes stuffed with Hydrangeas, Peonies, Roses and Spirea dressed the tables. 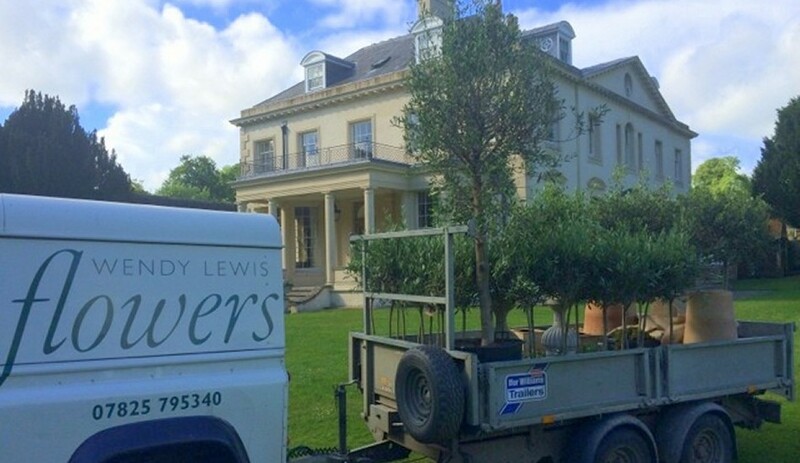 ...and then it was all over, so we headed back to the venue with a trailer to scoop up those lovely Olive Trees.